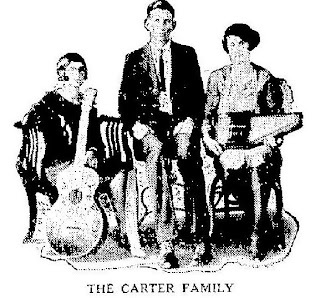 This is the Carter Family in a 1931 photo published by the Kingsport Times News. 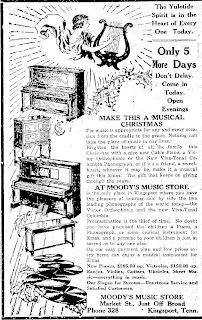 Moody's Music Store was selling guitars in 1927 as evidenced by this ad in the Times News. In late 1928 Moody's was sold to Lamb Company of Knoxville. 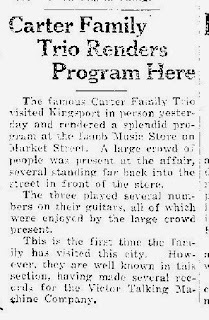 The Carters performed at Lamb's Music Store, 110 East Market, in March 1929. 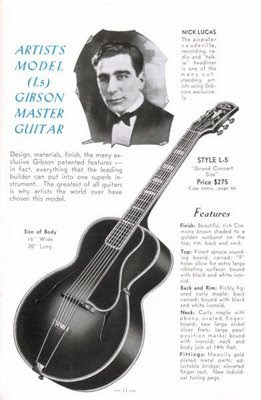 I think this is when Maybelle saw the famous Gibson guitar that her husband Eck would later return and buy for her. Before it was Douglass, it was almost named for school board president William Bennett. 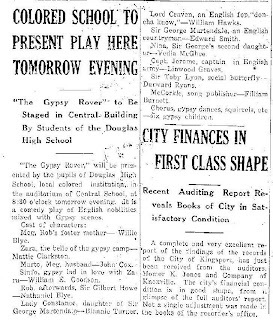 This clip is from 1923. Three years later the new "white" high school would be named for Bennett and Mayor Dobyns: Dobyns-Bennett. 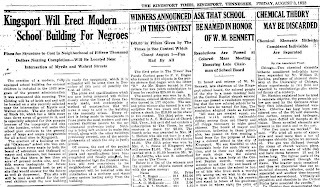 Another newspaper story said the new "colored" school would be named for Booker T. Washington. In the end when the school was finally built, in 1929, it was named for Frederick Douglass. 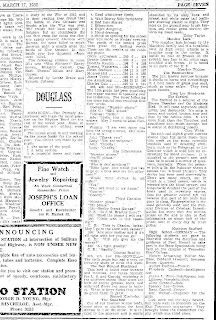 The first time the newspaper referred to the school as Douglass (without the second "s"). First graduating class from "Douglass" which in 1927 was located in an old building in the Y-intersection of East Market and East Sullivan. World famous bluesman Brownie McGhee - part of Sonny Terry and Brownie McGhee - was known as Walter in 1935 when he performed as part of Douglass's men's quartet. Recruiting violations weren't invented this decade. Witness this story I came across while researching Vanderbilt's last bowl victory (before New Years Eve 2008).